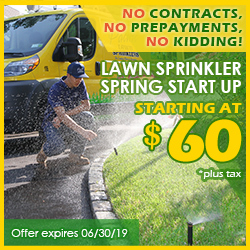 For over years, residents of Ronkonkoma and the surrounding communities have relied on Pacific Lawn Sprinklers for all of their irrigation and low voltage landscape lighting services. Such dedicated local customers have allowed Pacific to position a satellite service location directly in the close hamlet of Commack. This nearby Pacific team provides the installation of new irrigation systems, along with repairs and upgrades to existing lawn sprinkler systems. Pacific's LED landscape lighting designs are widely recognized throughout this area as well. 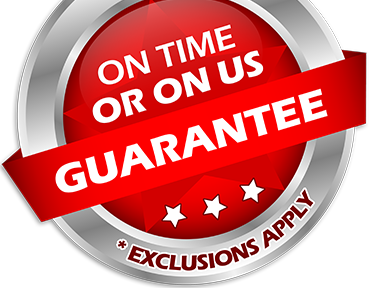 Superior knowledge and confidence in customer service allows them to offer an exclusive 100% CUSTOMER SATISFACTION GUARANTEE and a reliable “ON TIME OR ON US GUARANTEE!” to the Ronkonkoma area. 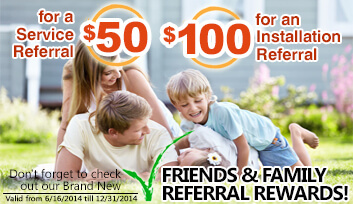 Call today and see why your neighbors prefer Pacific! Residents in this Ronkonkoma region rely on the LIE, Sunrise Highway, Veterans Memorial Highway, and Nicolls Road for their daily commute. You have probably seen a branded "Bright Yellow" Pacific service vehicle on these roads at some point during your travels. By having this local Pacific Lawn Sprinklers team install a sprinkler system in your home, the possibilities of landscape design become endless. Once a garden irrigation system is in place, Pacific will provide the necessary yearly maintenance (spring start ups, summer inspections, fall winterization/blow out) to ensure that abundant results are achieved each and every year. 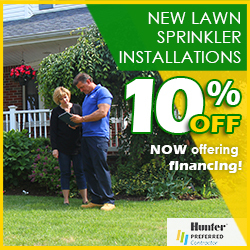 Upgrades to existing lawn sprinkler systems such as adding sprinkler heads, adding additional zones, or even just adding a rain sensor are all specialties of Pacific Lawn Sprinkler’s locally positioned team. Don't forget to inquire about Pacific's basement waterproofing solutions, holiday decorating including Christmas lighting, and drainage services as well.